Self esteem is confidence in one’s own worth or abilities. It can also be defined as a person’s overall sense of self-worth or personal value. Simply put, self esteem is how much you appreciate and like yourself. Low self-esteem on the other hand is feeling badly about one’s self. People with low self-esteem lack confidence and often feel unlovable, awkward and incompetent. I grew up with low self-esteem. How it began or what caused it, I do not know. But you know many times, it begins from the home. Remember, all the abusive words you were called while growing up or still being called even now. Words like big head, coconut head, foolish boy, stupid girl, good-for-nothing, you-are-a-failure, you-are-a-disgrace etc. Now if you grew up in an African home like I did, chances are you were called one or more of these names. I agree that this was our parents’ way of correcting or disciplining us but unfortunately, these words may have damaged you somewhat and contributed to your low self-esteem. This is not the only cause of low self-esteem and I will dwell on others in another article. But know this: low self-esteem will devalue you and rob you of many things. It will greatly limit how far or how high you will go in life and rob you of many valuable relationships and opportunities. It will put you in a cage leaving you with the inability to fully express yourself or deploy your skills, talents and abilities to solve problems and add value to others. Sadly, low self-esteem plagues many youths today and it is evident in the choices they make. The good news however is that it can be corrected and turned to healthy self-esteem. In fact, you will agree with me that improving your self-esteem is the singular most important thing you need to work on right now. But before we proceed, what are the signs that you may have low self-esteem? 2) You are constantly pessimistic and negative. 3) You are always sad and depressed. 4) You find it hard to take compliments. 5) You ignore and neglect your own needs. 6) You have fewer expectations from life. 7) You lack social skills and so you have few meaningful relationships. 8) You have feelings of awkwardness and shame. 9) You are unable to set boundaries. 10) You constantly put others down because of your own feelings of inadequacy. Now that you know what the signs are, it’s time to find out how I conquered low self-esteem and how you can too. 1) Think about what could be causing your low self-esteem. It could be an event in the past that was reinforced over and over again or it could be words that were spoken to you. Whichever the case, identify it. 2) Be kind to yourself. You are work in progress and you are improving by the day. Love yourself as you are and do not feel pressured to be perfect. 3) Recognise what you’re good at. We’re all good at something, whether it’s cooking, singing, teaching. Whatever it is, find it, focus on it and become excellent at it. It will improve your self-esteem in no small measure. 4) Build positive relationships. The right people around you will encourage you and build confidence in you. 5) Learn to be assertive. You have to start saying ‘NO’ to things, people or situations that do not edify or improve you. 6) Think positively about yourself at all times. If a negative thought comes to your mind, replace it instantly with a positive one. You know what? Your thoughts control your actions, so if your thoughts are positive, your actions will be positive. 7) Groom yourself and dress nicely. It has been proven time and time again that when you look good, you feel good. Take the time to improve your appearance and you will be pleasantly surprised at how it improves your self-esteem. 8) Affirmations. I highly recommend the use of affirmations. Stand before a mirror everyday and tell yourself; “I am smart”, “I am beautiful”, “I am a success”, “I am lovable”. There are many nice things you should tell yourself everyday. You will find yourself becoming everything you say to yourself. Put these to work and see if your self-esteem does not improve. However, if you do and it does not seem to be working, you may require coaching or therapy and I can help you with that. Send me an email and we can work together to defeat low self-esteem. 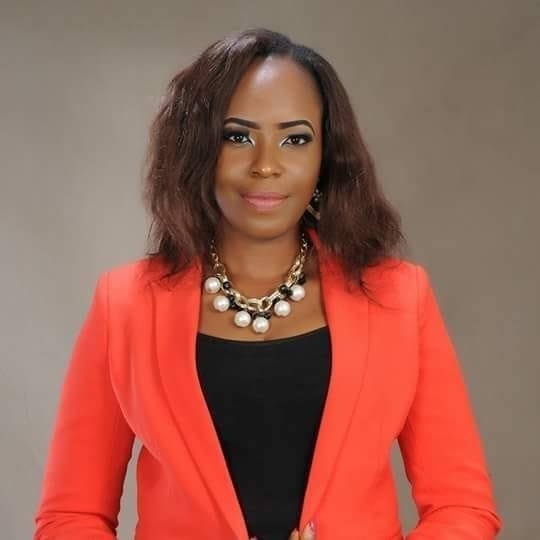 Ifeoma Okafor is a Life Coach, Mentor, Youth Advocate and Founder, Trailblazers Academy. She helps young people discover their purpose, develop values and skills, and create opportunities to make impact and lead change in the society. Book a FREE 1hour Coaching session with her on any area of your life you need help with. She can be reached via email at ifeomaookafor@gmail.com or on WhatsApp 08063474104.